‘We are what we eat.’ But when it comes to the foods that we eat, there are some popular beliefs that are not true. In this post, we are going to debunk those myths. Let’s see how many of them you actually believed! For people who always thought that eggs are a high source of cholesterol, so they must be avoided in order to stay safe from heart problems, there is good news. 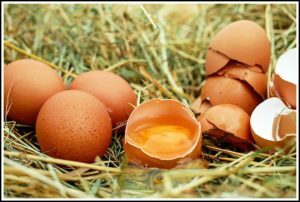 You can consume a couple of eggs daily, without worrying about the risk of heart problems. Yes, there is definitely presence of cholesterol in the egg yolk, but the amount in which it is present in an egg is complete safe for your heart. As a matter of fact, eggs bring along a number of other vital nutrients, most prominently being from Omega-3s, making them a really healthy choice to add in your diet. This can also be incorrect. How many of you agree that frozen foods are not as rich in nutrients as the fresh ones? I am sure majority of you would agree. But, the reality is otherwise. As a matter of fact, frozen food can be as nutritious as their fresh counterparts if frozen shortly after its picking or harvesting. 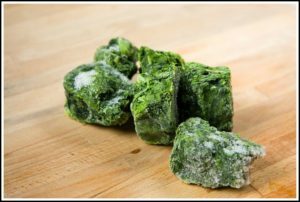 Most of the nutrient loss occurs to frozen foods during the processing part, but if they are stored quickly after their picking or harvesting, they retain their nutritional value. The fact that they are cheap as compared to fresh foods actually makes them a really good economic choice. So now you can eat frozen foods, from quality suppliers, you don’t have to worry about them being low in nutritional content. Whenever someone is on a diet, they often prefer to eat salad whenever going out for dining. Sure, a majority of people reading this post would have done that at some point of their life or the other. So, does that mean that all salads are always healthy? 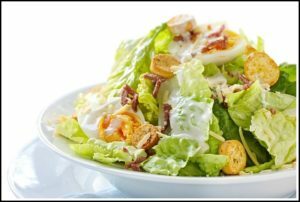 Salads are healthy as long as they are not topped with bottled dressings, bacon and other high-sodium, low-nutrient add-ons. So the next time you think about eating a salad when going out to stay healthy, look for the one that comes along with more fresh green vegetables and lean protein. Those were three of the most popular myths that have been surrounding people from years. But the reality is that they are not always true. When you are planning to stay healthy, keeping these myths in mind can be a great way to live a healthier lifestyle. As a matter of fact, before adding or giving up something in your diet, try to understand the logic behind it rather than following conventional wisdom blindly. 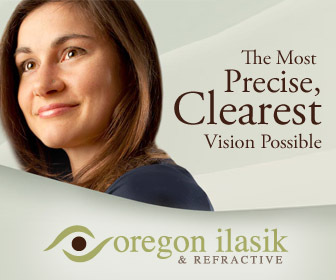 Trust us, you are simply going to make lot better choices than ever. So the next time someone talks to you about healthy food tips that contradict the above, refer back to this article and see what comes from it. Bon appetite!